BurnCycle, the Northwest's first full-body cycling studio, continues its evolution of fitness philosophy with the opening of The Lab in Southeast Portland's Goat Blocks. The Lab, a new concept for the cycling studio, will be spearheaded by Marie Purvis. 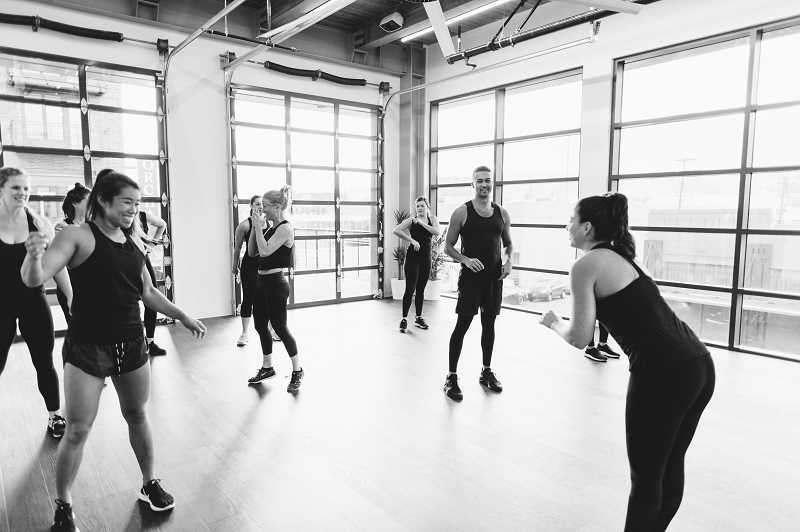 Purvis, who created the Nike Training Club (NTC) as a way to raise the bar for trainers across the globe, brings an innovative and creative approach to training that will be reflected in group classes she programs and leads for The Lab. Classes will include The Grit, The Hustle and Urban Rumble, and will focus on full-body training methods that take group fitness to the next level. "The Lab is not just another workout facility; it's a solution to a need for our community. And for me, it's personal," said Burncycle founder Jessi Duley. "After having my second child, I was riding at BurnCycle up to six times a week, but felt like I was hitting a wall. BurnCycle is my beloved workout, and yet my body had plateaued. I needed to find a way to move my body differently and find a new source of strength." As an immediate solution to bringing a different kind of movement to Duley and her Burn Army, BurnCycle launched a year-long community engagement project, BurnMVMT, which came to life in a series of cross-training classes that took place in unexpected venues around the Portland area, including Castaway, Coopers Hall, Ponzi Vineyards and Yale Union. "The Lab is that next level of BurnMVMT and will be tailored to the needs of our fitness community," said Duley. "Small classes will allow for more personal attention, and we'll have the flexibility to test new training methods and evolve our classes. We could not have found a better partner than Marie to guide us and are so thrilled to have her on board." Purvis has more than 16 years of personal and professional training experience with programs focused on functional and performance training, and has worked with professional athletes and celebrities throughout her career. She has taught Nike's NTC program to thousands of people in live classes and has collaborated with Nike to motivate athletes and consumers globally through the brand's events. "Jessi and I have admired each other's work for years, and I am honored to lead the next iteration of BurnCycle and BurnMVMT with The Lab," said Purvis. "Each class that The Lab offers is rooted in functional training which translates into everyday life, so you can adult without feeling old." The Lab, located at 1030 S.E. Belmont St. in Portland, launched the classes on Jan. 2 in conjunction with the start of BurnCycle's January Challenge. Classes are drop-in only and cost $25 per class. The Lab will offer class packages, but will not offer a monthly membership. For more information including class times and pricing, visit https://www.burn-lab.com/.